Discovering new music is both awesome and rewarding but discovering an awesome website filled with equally amazing music is just too much to handle! 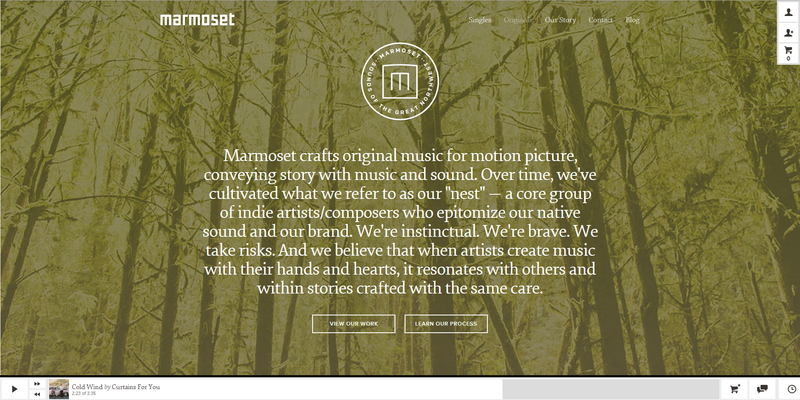 In this edition of Awesome Web Design of the Week we are going to feature Marmoset, a Portland based boutique music agency. Listening to music helps lighten the mood or keeps the working pace which is why in this edition of Awesome Web Design of the Week we are going to talk about something related to music. Marmoset is not like other music services company that are found in the Internet wherein an artist is paid with the number of plays they get on the website. In Marmoset artists are paid by having their music licensed for commercial use for film and television. Another thing that separates Marmoset from the crowd is that they pick artists and composers whose music resonates the Pacific Northwest sound. The website uses a HTML5 to deliver stunning display of content and a smooth user experience. 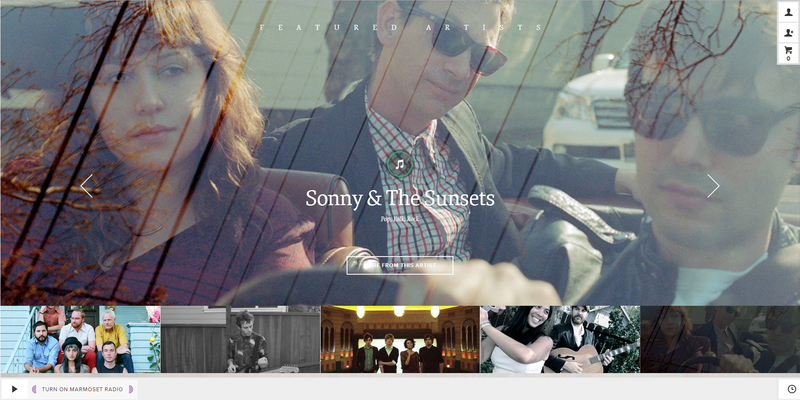 The grid based layout keeps everything neat and organized. Using moods to generate a playlist is nothing new but Marmoset did a little twist with it. Instead of focusing with the user’s current mood they ask for what is the mood of the story, character or a specific vibe of a project. It’s like users are to think of a whole movie score for their (users) film. Users can also generate a playlist using other filters such as vocals, length, arc, instruments and genres thus finding that perfect song easy for everyone. On a recent article in Fast Company it is said that the company spent eight months working on their current interface that users can enjoy now. 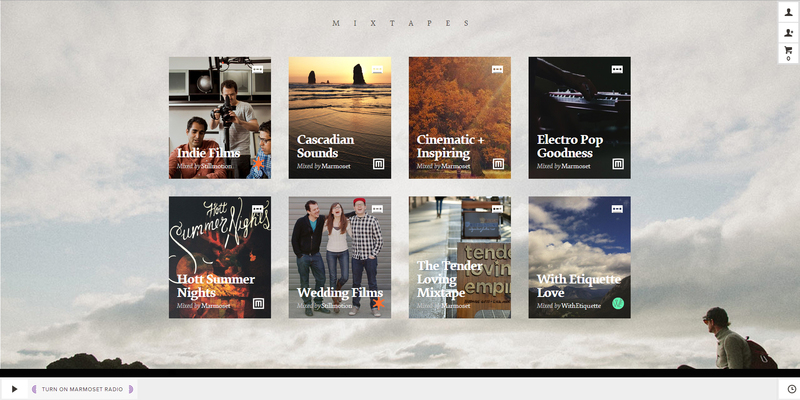 It took half of the development time on hand-tagging and categorizing almost 10,000 songs for their filtering system so that users and potential clients can find the right song for any film or ad campaign. 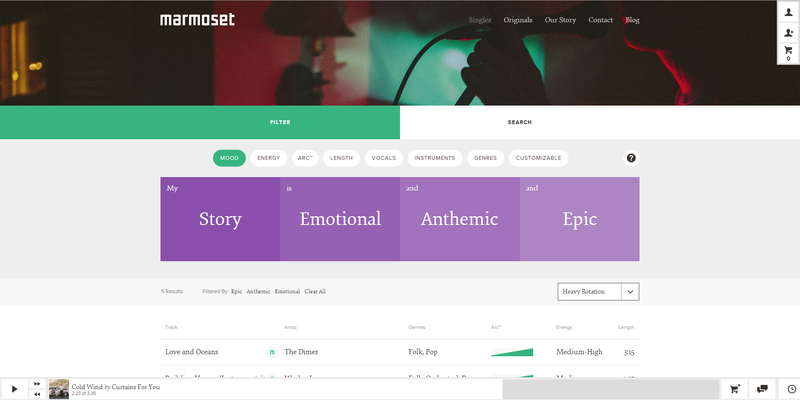 Marmoset is not just an aesthetically amazing website but a heaven sent service for independent artists as well as for people looking for new artists to follow. More than a service, Marmoset is a community that is out to give a helping hand to whose passion is making great music.